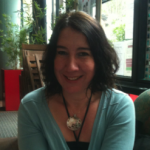 Louise Michelle is an experienced therapist who has worked in a few different settings including The Attachment Project in Brighton & Hove where she realised the need for alternative creative therapy approaches to gently challenge traumatised children & young people into learned security. She set up and ran a counselling service to schools for a number of years. Her specialism is in relational trauma and loss. She uses the arts, sensory breaks and Theraplay in her practice to enable connection. She has developed an Attachment Aware model of support for schools advising, training up and supervising Key Adults over a period of 2-3 years, providing good quality relationships to those who struggle interpersonally. Louise is using DDP in both the home and school context – building up both primary attachment relationships with parents/carers and also building up and supporting additional attachment relationships with key adults in the child or young person’s school. Louise provides supervision to school counsellors & therapists. A teacher too. Louise is passionate about inclusion and believes that all children & young people should be given the best opportunities to be parented and educated even if that means using an alternative, therapeutic approach. Everyone needs to experience connection. Louise is the director of a not for profit community interest company TouchBase Centre which specialises in supporting recovery for those impacted by relational trauma and loss.